The male grooming market is white hot these days. It seems that every time you turn around there's a new shampoo, shave cream, or styling product for men being introduced. One growing segment of the hair care market is aimed squarely at the man who lacks hair. Whether bald by choice or from male pattern baldness, there is a slew of new grooming products for men with a bald or shaved head to help keep their chrome dome looking clean, slick and shiny. Having a smooth bald head has become very popular in resent years, especially when basketball super star Michael Jordan showed off his bald head. 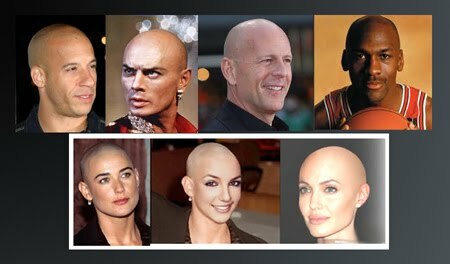 Just take a look at some male celebrities who are sporting the bald head style such as John Travolta, Vin Diesel, Bruce Willis, and even some women celebrities wanted to try the look (Britney Spears, Angelina Jolie and Demi Moore). A shaved head is a good option for guys with thinning hair or those that wants to make a bold fashion statement. For some men having a shaved head can accent masculine features like a strong jaw or chin. But before you rush into the bathroom to shave your head keep in mind the bald head style is not for every man. The best candidates for the bald head style are men with a well balanced round shaped head, not pointy or flat across the back. Like a hair style a shaved head must fit the shape of your head, face shape and facial features. As well as the size of your ears, length of the neck and body size in order to look balanced from all points of view. Of course, the first step in maintaining a great looking melon is to use proper shaving technique and the right products for a healthy looking scalp. 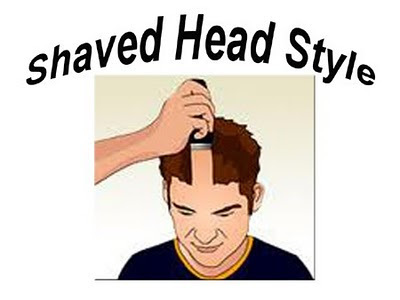 Before attempting to shave your head for the first time, I strongly recommend consulting your hair stylist to help determine if this look will complement your face and head shape and show you how to shave your head. It’s not all that much different then shaving your face. While some women find a shaved head a thing of beauty other may see it as a turn off. No matter, hair grows and you won’t believe just how fast it does until you find yourself shaving it everyday. Now that’s something to consider if your up for this new look. 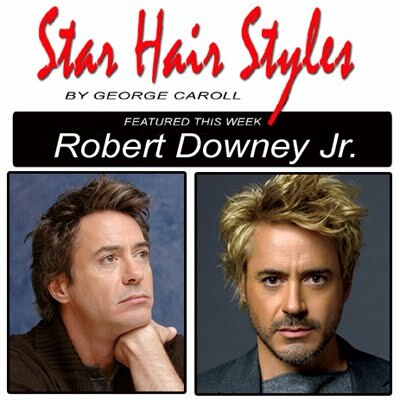 Star Hair Style / Robert Downey Jr. Drawing inspiration from the hair style trends of our favorite stars and celebrities has become national past time. One such star whose hair style is always on the must have list is Hollywood’s bad boy Robert Downey Jr. His tousled finger combed hair style and movie star persona is irresistible to ladies who are attracted to the wild side and quite the catch for those girls who are drawn to the sensitive, creative types. TO GET THE LOOK: Are you looking for a hair style to go with your bad boy image? Try Robert’s hair style on for size and walk on the wild side. Be forewarned, this bad boy hair-do’ is a “babe magnet". To get the look, let’s take it one step at a time; starting with a style cut and shaping. LET’S SHAPE IT: start with a contoured silhouette with full tapered sides and neckline stylishly over the collar. The crown is cut short to stand up for a full look or combed forward with a few "love locks" casually covering the hairline. This shapely finger combed head turning-do’ almost styles itself. With a few adjustments (trims) as it grows you can easily find the ideal length and shape for your personal style. LET’S STYLE IT: To jump start your style; apply a dab of shaping gel or mousse or nothing at all. Just run either through damp hair and comb in place to dry au natural, or give it a quick once over with a blow dryer for a full tousled look. For the “bad boy” look, when dry, add a dab of hair polish and you’ve got the look. LET’S ADD WHISKERS: Nothing can reshape a face or add a dramatic look like facial hair. This simple addition can make a weak narrow chin stronger, a double chin disappear, cover a wide upper lip or a ruddy complexion, add a few years to a baby face and defiantly adds a rugged, stylish or artsy look. Let your whiskers grow for a few weeks and visit a stylist to have it shaped for your face shape and features. NOW, LET’S COLOR IT: Movie actors change their hair color often for the many roles they play so dying their hair is no big deal. If you have brown hair with gray around the edge a rich brown tint or a shade closest to your natural hair color will define the shape and wash way the gray away. After, a clear glaze seals-in the color and turn on the shine. For Robert’s blond hair color, a golden blond high lift tint adds a sun bleached look. To keep it up plan on having the new growth colored with every other style cut. This will cost a few extra bucks but is well worth the price for cool look and all the attention you'll get. AT A GLANCE this shapely head turning finger combed look let’s the ladies know you’re the type of dude that walks on the wild side. The contoured silhouette and tapered neckline stylishly over the collar and a few casual "love locks" across the forehead turns the style meter up a notch. The sun kissed hair color and whiskers gives it a edgy touch that's irresistible to the ladies attracted to your "wild side". 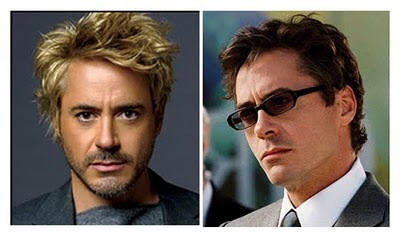 So be prepared for to take names and cell phone numbers when you show up with Robert Downey's “bad boy” style. Self-heating technology has been showing up in many of our everyday beauty products turning them into “spa-like-treatments”. What sorts of magic ingredients go into self-heating beauty products? The “secret” self-heating ingredient is zeolite, a micro-mineral that gives off heat when applied to “wet hair”. For hair treatments the heat is minimized to raise the temperature only by about 3 degrees for shampoo and slightly higher for conditioning treatments, certainly not hot enough to produce a burn. But the heat is definitely apparent to users. While most people enjoy the heating sensation, some may be sensitive to the heat. The addition of heat “active by water” has been shown to improve the cleansing process and make active conditioning ingredients more effective. Heat also stimulates circulation to relax tense nerve ending and sooth to the scalp. 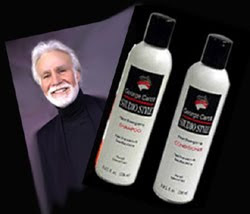 The Heat Energized Shampoo and Conditioning treatment by Studio Style is an example of this new technology at its best. Self-heating and infused with micro-poly-silicone to cleanse, seal and repair surface damage giving all hair a soft silky feel, brilliant color, luster and manageability in seconds. Hair stays cleaner and styles last longer with this all new heat energized "hair spa treatment". Ideal for today’s fast paced healthy life styles. Self-heating technology in beauty products is still relatively new technology. It is interesting how basic chemistry can be used to create an “all-in-one” spa-like treatment. Self-heating hair and skin care treatments not only improve the effectiveness of active ingredients but are also therapeutic. This technology will be further explored and developed by cosmetics companies in the coming years..